When making our soap, the remaining mix in the saucepan is put into little muffin moulds so that no soap is wasted. Suitable for B&B's or for people with guests staying overnight. 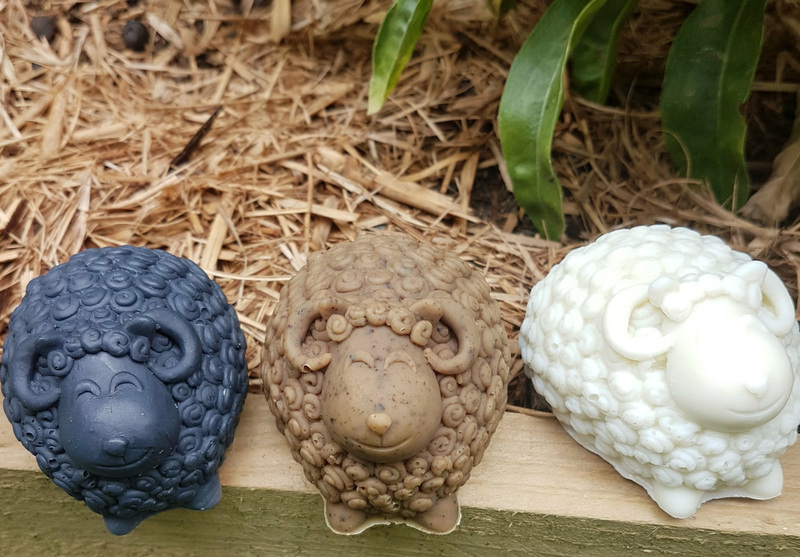 These soaps weigh around 20 grams each. These gorgeous sheep soaps have been extremely popular at our Farmer's Markets. 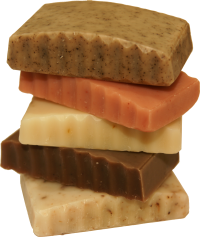 Please let me know in a message which colour soap you would like. Ingredients: Saponified Australian olive oil, a little coconut oil and sustainable palm oil. A wonderful exfoliating and deodorising soap. Great for getting rid of callouses on your feet and for improving heals that are sore and split. Ingredients: Saponified Australian olive oil, coconut and palm oils, natural glycerine, fresh coffee grounds, Eucalyptus, Tea Tree, Rosemary & Peppermint essential oils.